Marc Rayman joined JPL in 1986 where he enjoyed a career highlight with Deep Space 1, which accomplished a spectacular encounter with Comet 19P/Borrelly in 2001. Deep Space 1 gave us the first close up photos of a comet’s nucleus. He is currently mission director and chief engineer of Dawn, which has orbited both inner solar system objects, Vesta and Ceres. Dr. Rayman is very active in public education and outreach programs. 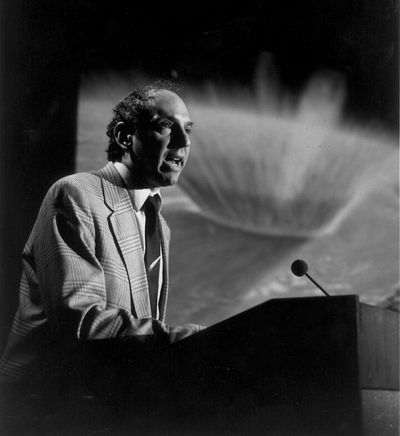 Other noted speakers included: Tim Parker, JPL; Wally Pacholka, night sky photographer; Tim Thompson, JPL; Tim Robertson, JPL; and many others. We are anticipating another exciting speaker list for 2019, so stand by! Welcome to our 51st RTMC Astronomy Expo! RTMC has a fresh aspect now as we gather in September, just before the fall Equinox. Until this year, we have always met in May with the spring and early summer sky visible. This year, the RTMC evening sky will have moved 120 degrees to the west, putting the summer Milky Way high overhead with the fall constellations coming up in the East. 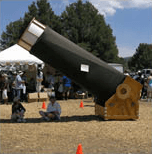 RTMC is a well-rounded astronomy event that includes excellent science lectures and a great star party with outdoor observing day and night with fellow amateurs and telescopes of all kinds. We also feature astro-vendors bringing you the latest astronomy gear. You won’t be sitting in a conference center merely talking about astronomy—at RTMC we are surrounded by real stars. Naturally, the outdoors includes real weather, so come prepared for cool nights and warm sun. 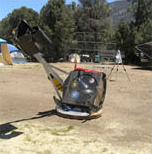 RTMC is the place for telescope makers, so if you built it, bring it and show it off. If you took a picture of the sky, bring it to share. We will recognize your best telescoping making efforts and astro-photos in our telescope-maker Merit Awards and Astrophotography Competition. And, for photographers, this year’s AstroPhotography Workshop is designed for the average astro-imager who wants to take good photos with portable equipment at star parties. We invite you to contribute to our program, whether by speaking on a subject you have studied or by showing something you have done. 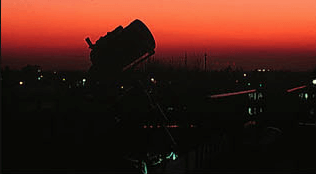 Bring your telescope to our nightly star party and join us on the main telescope field if you wish. 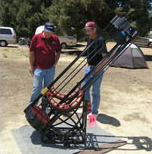 The RTMC star party is a great opportunity to make new friends. This year the moon comes up later, so our evenings offers deep sky objects along with Jupiter and Saturn. 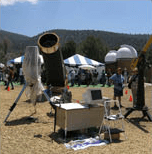 On the upper telescope field, there are a few power outlets available for telescopes and computers, so you may want to bring a power pack or extension cord. We are a family event: all kids come in for free and students enter at half price. We have events for everyone, including hikes, mountain biking, swimming, archery, a zip line, and canoeing. Sunday afternoon our kids’ creative astronomy activity capped off with ice cream sundaes. Check your program for details. 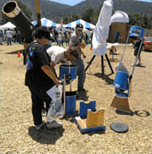 Come join our Beginners’ Corner talks and star party and activities. We can help you get started and explore many aspects of our hobby while answering your questions. Saturday and Sunday mornings, there is fun at the Swap Meet where many surprises and curiosities await. Come on up to the mountain and see for yourself! Thought the last RTMC was the best in several years..
RTMC-2016 was very enjoyable-! I am looking forward to RTMC-2017. Only attended this conference once before, I wasn’t quite sure.